Welcome to Pakistan vs Australia London Olympics 2012 7th August 2012 Hockey Free Live Streaming. 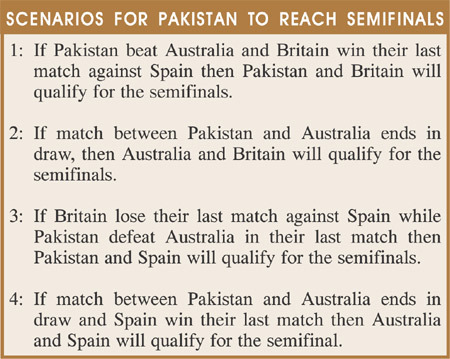 Pakistan will be facing a daunting task ahead of them, in order to keep their hopes for qualification in the Semi-finals, and play for their lone Olympics Medal. Pakistan head coach and manager Akhtar Rasool said greenshirts had a good chance of winning against the world champions as Pakistan defeated them 4-3 in the final of a 3-nation tournament in Perth, Australia in November 2011. “We have a psychological edge over Australia,” he added. Argentina, who were defeated by Pakistan 2-0, held Australia to 2-2 draw. “If Argentina can play draw with Australia, the greenshirts with aggressive hockey have a good chance of beating the Aussies,” he maintained. Pakistan captain Sohail Abbas, who will be on his final Olympics outing will be in full spirits in order to redeem some glory and get some optimistic chances for the semi-finals. All Pakistan at this point of time will require lots of prayers and some aggressive play by the green shirts. 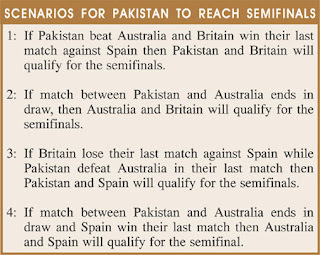 Match will start at 0945GMT on 7th August 2012.